Don't buy that $199 Kindle Fire or Nook Tablet just yet, bargain hunters. At least one retailer will sell the 7-inch 16GB BlackBerry PlayBook at the same dirt cheap price of $199 on Black Friday. So far only Staples has confirmed it will offer the PlayBook for $199 -- a price drop of $300 from the current list price -- as a doorbuster on Friday, November 25. 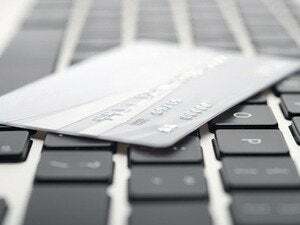 The office supply chain will have a minimum of two tablets per store available at the lower price point and each doorbuster deal is limited to one per customer. It's not clear if other retailers will follow suit next Friday or perhaps drop the PlayBook's price for a limited time during the holiday season as Canadian retailers are currently doing. Best Buy's Canadian stores are selling the 16GB PlayBook for $200 (about $195 USD) until Thursday, November 24, 2011. North of the border, the big box retailer is also offering the 32GB PlayBook for $300 CAD and the 64GB model for $400 CAD. Canadian electronics retailer Future Shop is offering the same deal. 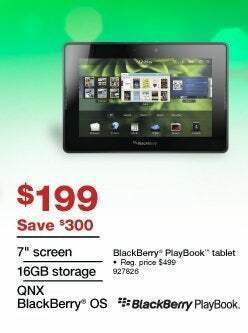 In the U.S., a purportedly leaked Best Buy Black Friday ad, available on Websites such as bfads.net, doesn't show the BlackBerry tablet as part of the retailer's doorbuster deals for 2011. And neither does Best Buy's Black Friday preview on its Website. BlackBerry maker Research In Motion has had a difficult time convincing users to pick up its iPad competitor since launching the device in April. RIM recently reported PlayBook shipments dropped to 200,000 during its second quarter, down from just 500,000 shipped the previous quarter. Apple, by comparison, sold more than 11 million iPads between June and September. To help move the QNX-based device off store shelves and into people's hands, the device has received a string of sales promotions for both enterprise customers and consumers. Nevertheless, the tablet doesn't appear to be a popular choice for North American tech buyers. That may change, however, if retailers start selling the tablet at near fire sale prices this holiday season. The PlayBook features a 7-inch screen with 1024-by-600 resolution, 1 GHz dual-core processor, 1 GB RAM, 802.11 a/b/g/n Wi-Fi, 5-megapixel rear-facing camera, 3-megapixel front-facing camera, and HDMI micro and microUSB ports. 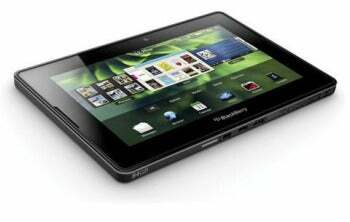 Despite its respectable specs the PlayBook has come under heavy criticism for lacking trademark BlackBerry features such as a native e-mail client and BlackBerry Messenger. RIM has promised a software update for the PlayBook that is supposed to make up for the tablet's shortcomings, but the company recently said it does not plan to release PlayBook OS 2.0 until February 2012. The PlayBook has also been criticized for its lack of third-party apps, something RIM hopes to overcome with the PlayBook's capability to run apps made for Google's Android mobile OS.